I had plans to get some things done tonight after Lily went to bed, but I saw a picture and now I just can’t continue with my plans. Lily’s favorite bedtime routine is for me to lay my head on her stomach while Brent and I pray over her and sing “Jesus Loves Me”. Soon after she fell asleep I proceeded with my to do list. Of course, that included catching up on facebook/twitter first :). I saw an update for a child whose story I’ve been following for a while. Many of you probably know him or know of him. Noah Crowe. He has been suffering from a brain tumor since 2009. I’ve never met him. But once you become a mother, you can picture your own child being in the shoes of every single other child out there and you hurt for that child as if he/she was your own. So when I saw the above picture of Noah and his parents just after I put Lily to bed, I pictured my head on her stomach in that hospital bed instead of in her bed at home. And that’s when my to do list when out the window. And my heart sank. Why is Lily not sick? Why is Noah the one the Lord chose to have this disease? Why are his parents the ones that have to suffer the pain of watching their son in helpless pain? 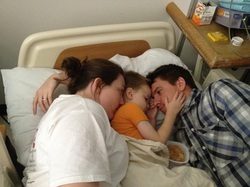 Why are Brent and I not the ones laying in the hospital bed, pouring tears to God over our sick Lily? I don’t know. I don’t know why one family suffers, while another doesn’t. God’s ways can’t be understood. They are higher and wiser than anything I can fathom. His purposes are always good. His peace surpasses all understanding. His comfort and presence is real and powerful. His love is consuming. 1) Pray for Noah and his parents. 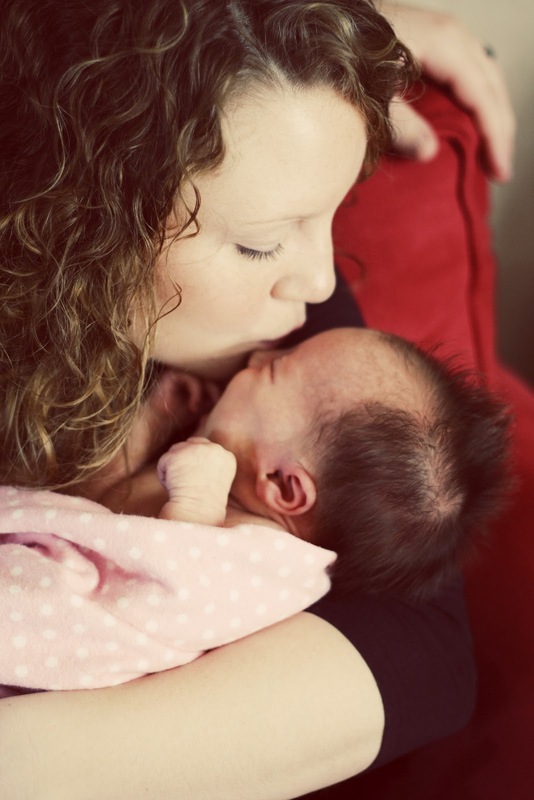 2) Give God my grateful heart for a healthy child. 3) Give every moment of her life precious attention. Life is short, and sometimes shorter than we think it will be. My words can never ever suffice the hefty load of gratitude in my heart and because of that, my actions must complement my words. May my life, my behavior, my obedience, my love be a display of the overwhelming gratitude in my heart for a healthy Lily. From the deepest parts of my heart, Father, thank you for entrusting to me a healthy girl. May my journey as a mother bring glory to Your worthy name, in sickness and in health. Love you, my sweet Lily.